This past weekend, several Westwood Orchestra students competed for spots in the Region 26 All-Region Orchestra. Forty-six Westwood students were selected out of 72 spots - the most in program history! 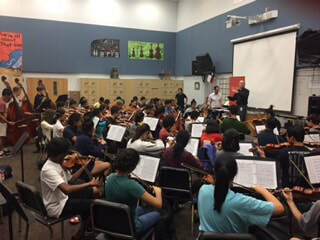 Many of these students will audition in two weeks for the Texas All-State Orchestra. A complete list of names is available at http://www.westwoodorchestra.com in the Awards section. Congratulations to these students! 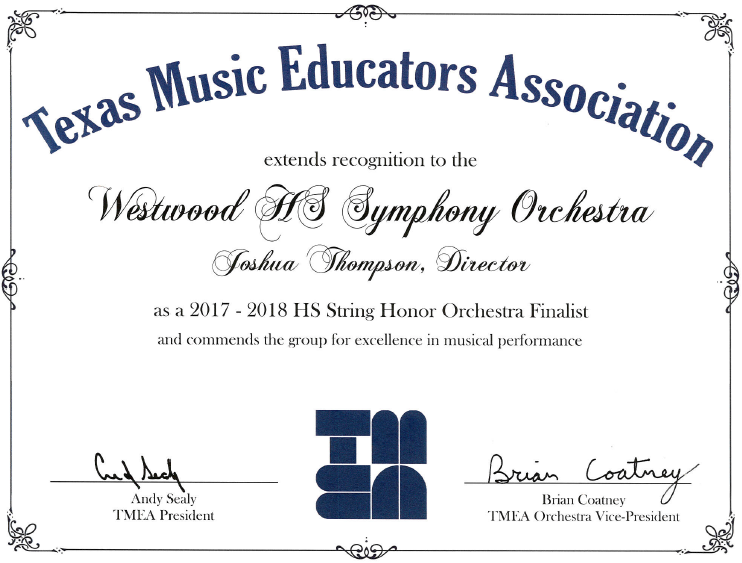 The 2017-2018 Westwood Symphony Orchestra was recently ranked #3 in the state of Texas in the TMEA Honor Full Orchestra competition! This was a result of their performance at UIL Evaluation in March, in which they performed works by Shostakovich, Debussy and Wagner, all of which can be viewed on the "Media" page of this website. 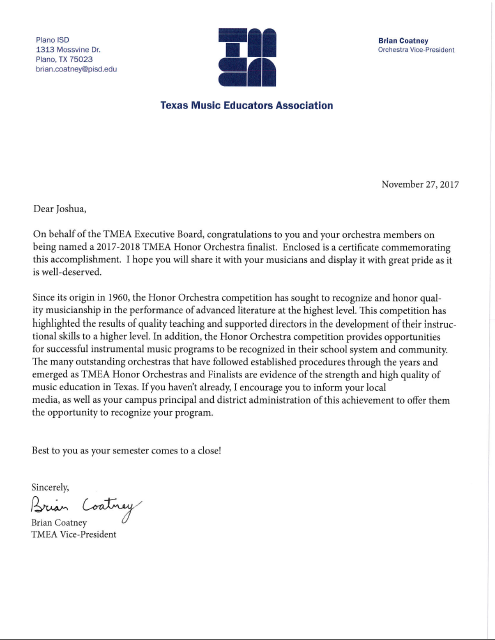 The TMEA Honor Orchestra competition is one of the most competitive in the nation. 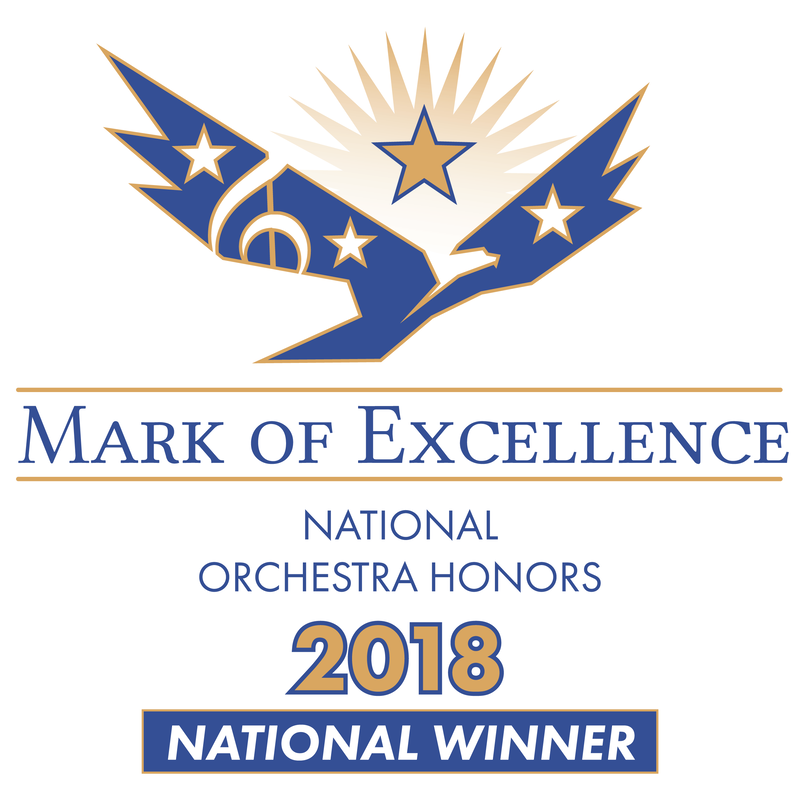 Westwood was one of only two schools in the state this year to be a finalist in both the Honor String Orchestra and Honor Full Orchestra competitions! We're very proud of our students for this honor! 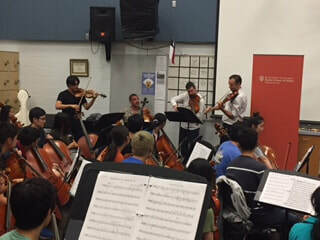 Miro String Quartet at Westwood High School! 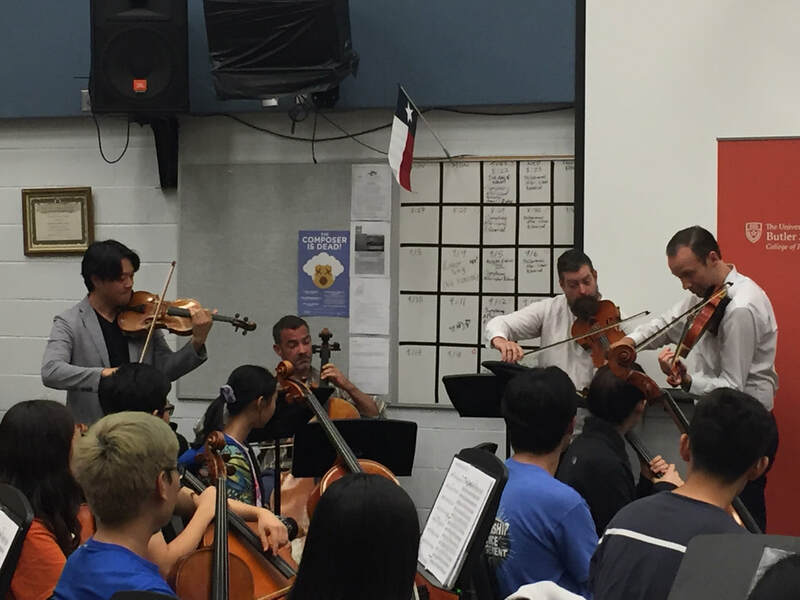 The world-renowned Miro Quartet, the professional string quartet in residence at the Butler School of Music at the University of Texas, came to Westwood to work with the Symphony Orchestra students on September 19th. 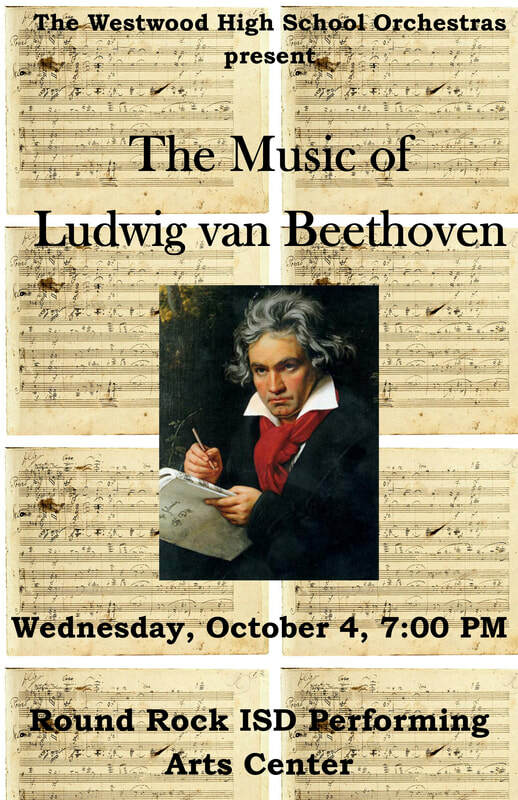 The Symphony is currently working on a piece of string quartet repertoire, two movements of Beethoven's String Quartet in c# minor, op. 131 (with an added bass part by Dmitri Mitropoulus). As the Miro Quartet performed the entire 42-minute quartet at their recent recital at UT, it was a perfect opportunity for these musicians to share their expertise with the Symphony Orchestra's musicians. For more information on this fantastic group of musicians, please go to their website, miroquartet.com and see videos and more! 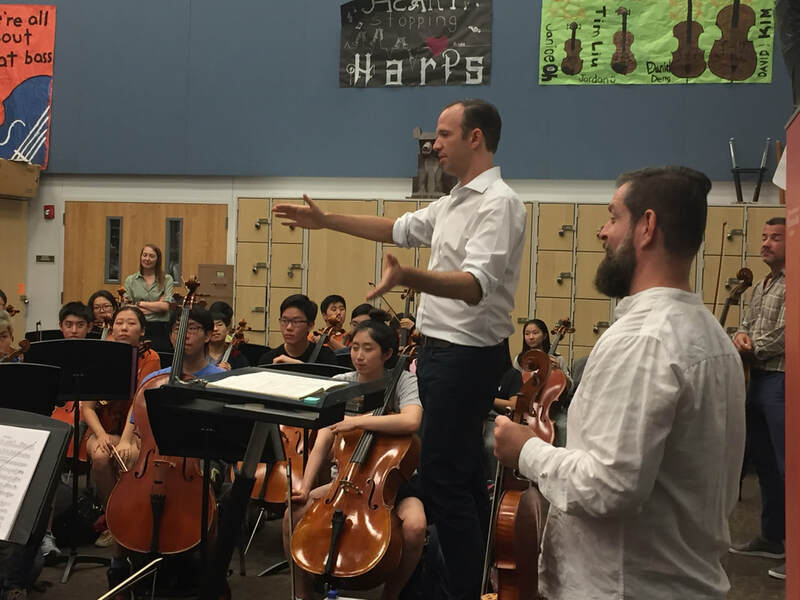 The Westwood students are thankful for this opportunity to work with such world-renowned musicians.